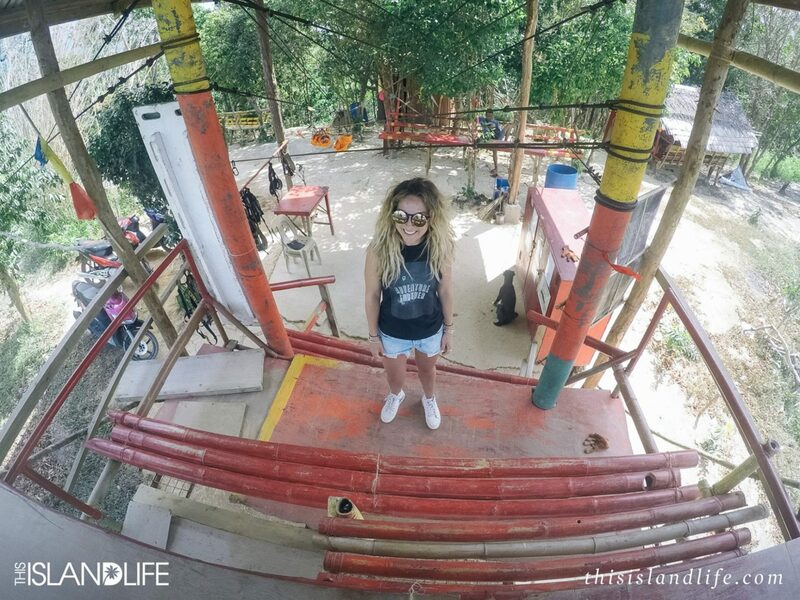 On a rainy day in El Nido we headed up a steep rickety bamboo staircase in the Philippines jungle to zipline over Las Cabanas Beach. 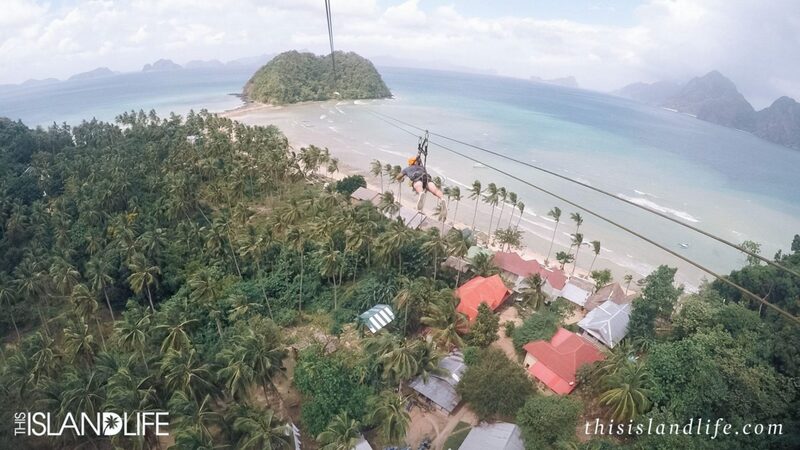 The zipline at Las Cabanas Beach in El Nido is not your regular tourist attraction – this is island hopping by zipline. After passing a few snakes on the way up, I was scared before I even got there. 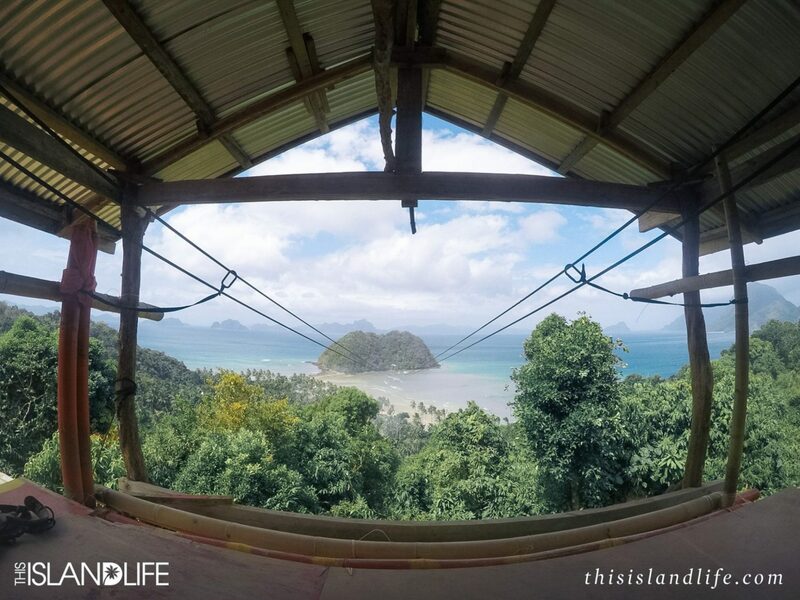 Then I saw the zipline platform at the top – a bamboo structure that looked like it would never pass Australia safety standards with a hectic drop and a 750-meter zipline across the ocean to Depeldet Island. I’m not going to lie, I was freaking out. 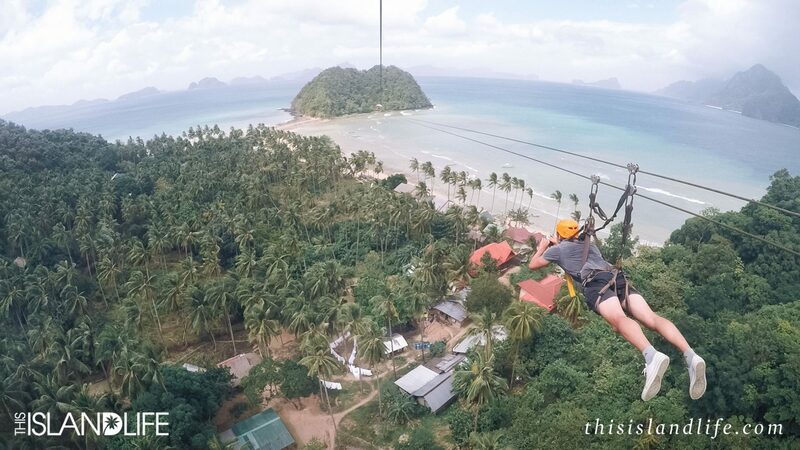 As soon as the zipline guys started attaching our equipment, I was reassured. 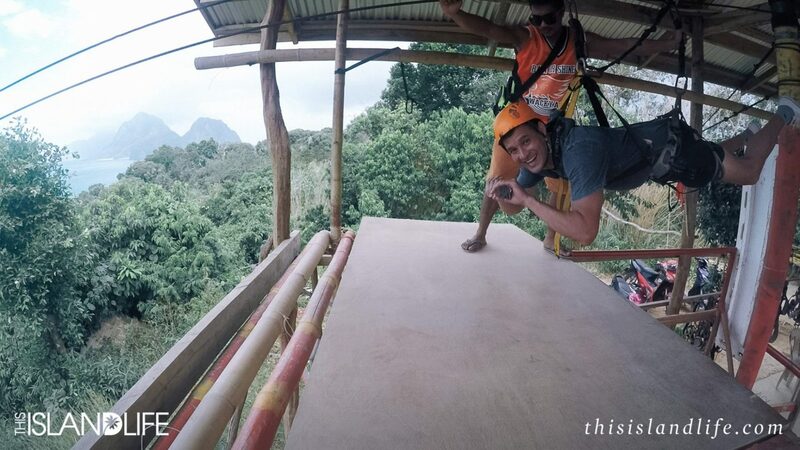 While the set-up may look super relaxed, these guys test out your harness on the platform to make sure it’s secure, and follow all proper safety requirements like giving you a helmet and making sure you’re wearing secure footwear. 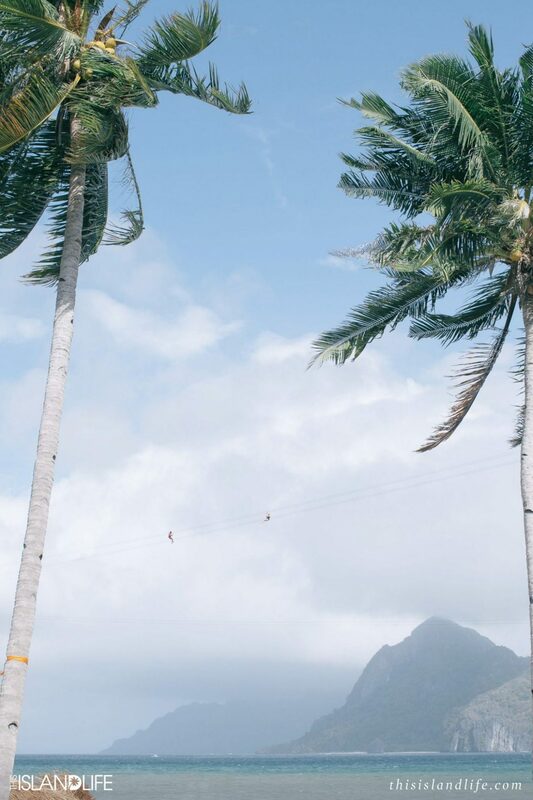 While I’ve ziplined in beautiful destinations like Hawaii and Thailand, this zipline is hands down the most picturesque I’ve ever seen. 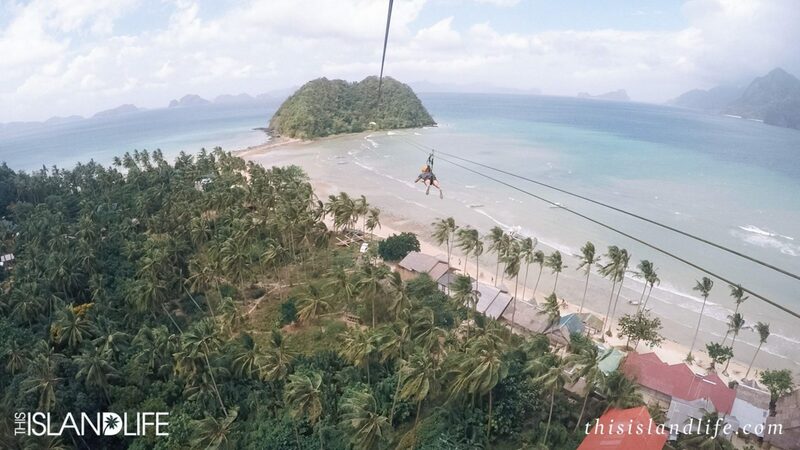 Never before have I experienced island-to-island ziplining where you can fly superman-style across a spectacular coconut palm-fringed beach. This was my first time zipping in the superman position and I couldn’t think of a better location to do it in. Jason and I went at the same time, but as you will see in the video below, the heavier you are the faster you go – so I got smoked! While Jason flew smoothly across to Depeldet Island, it was so windy; I actually came to a halt right above the ocean. Before I had time to get worried, one of the zipline guys was quickly on the line, making his way out to pull me in. Jason was watching the whole thing unfold from the platform on Depeldet Island and was worried I was freaking out. 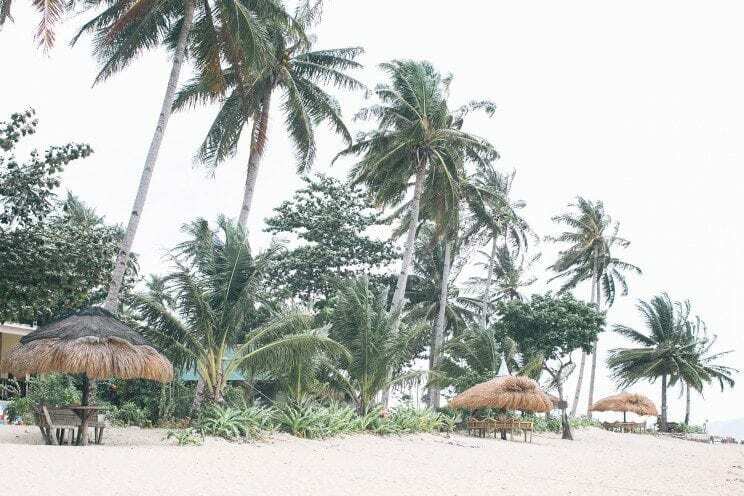 But I was actually super chilled – it was an incredible view and I had it all to myself out there. It took about five minutes for the zipline guy to reach me and after a few accidental feet to my face and lots of laughs, I was on my way back in. 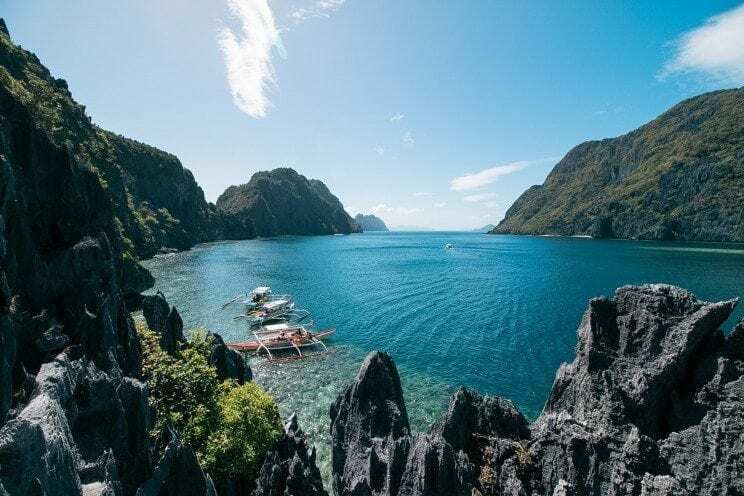 A big thanks to GoPro Australia for kitting me out so I could capture this epic island hopping adventure. 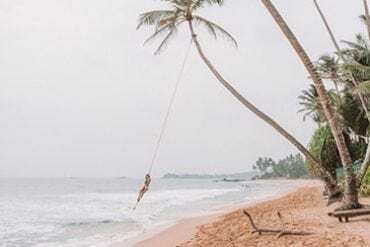 Las Cabanas Beach is famous for its spectacular sunsets, so time your zipline adventure to take in the incredible sunset as you zip through the sky. 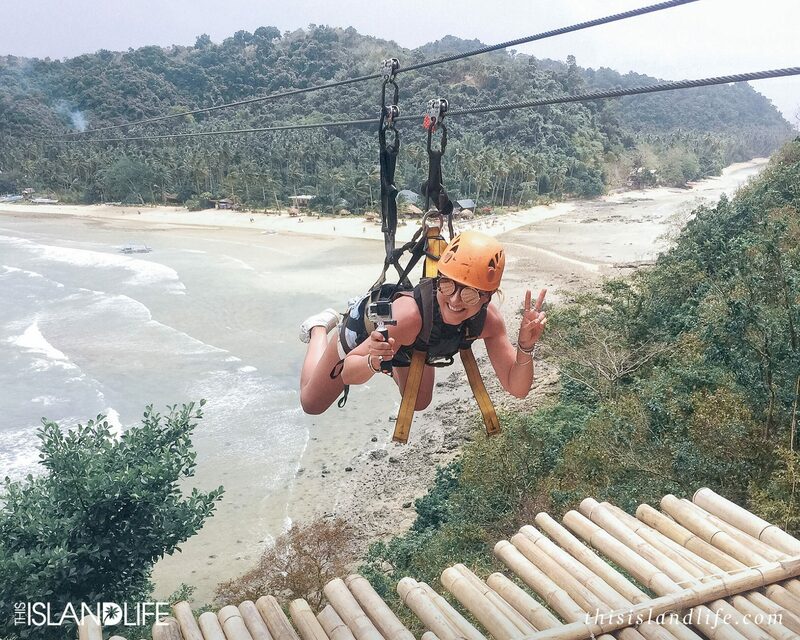 The zipline is open until 5:30pm, so aim to get there just before it closes and then debrief over dinner and drinks on the sand below. 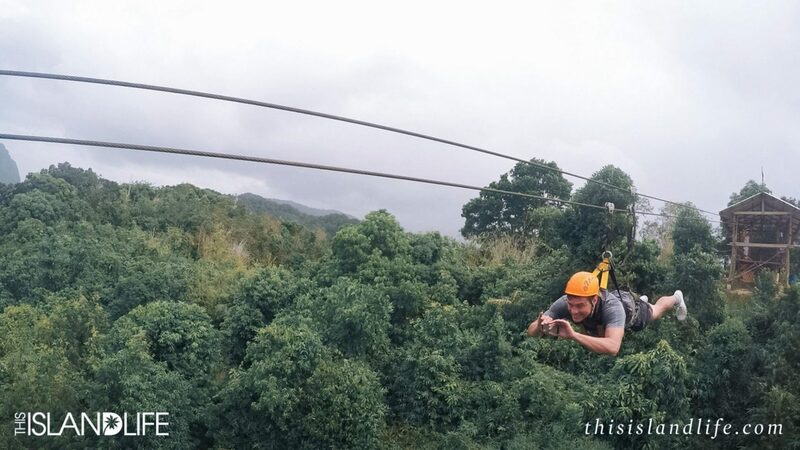 The zipline is open 9am- 5:30pm. 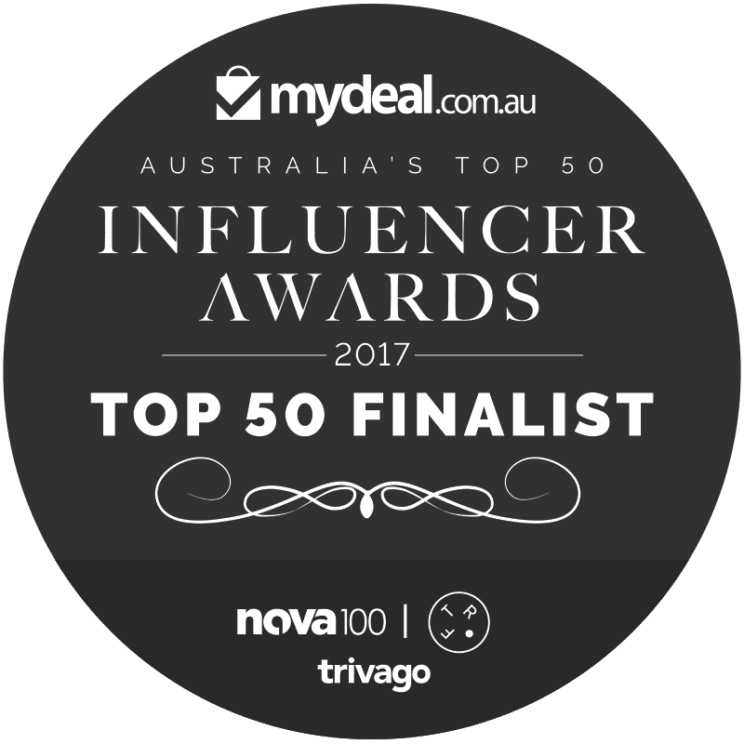 Cameras: Canon EOS 5D Mark III , Canon EOS 70D and the GoPro HERO4 Silver Edition. Lenses: Canon EF 50mm f/1.4 USM and Canon EF-S 10-18mm f/4.5-5.6 IS STM.